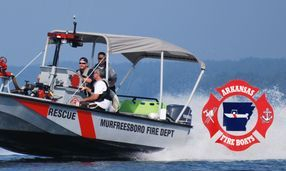 The Arkansas Fire Boat School is an annual event hosted by the Arkansas Fire Boat Committee at DeGray Lake near Arkadelphia, Arkansas with over 40 large and small boats training over 200 plus individuals. This is some of the best collaborative, effective, coordinated training for free anywhere in the Southern United States. 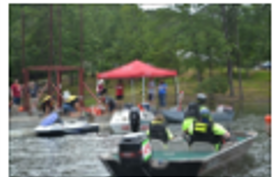 This two day event covers life-like scenarios with real life-training such as PWC vs Boat Crash, MCI, Small vessel victim rescue, to the Urban Flood Water Town that has a home on fire and multiple victims in the flooded community. STARR attends this event annually since 2010 while using it as a full scale exercise for the team. In years past, this exercise has proved challenging as flooding was actually occurring in many of the area making our exercise more realistic - only makes us better prepared. Although the Fire Boat School is only two days, STARR remains an extra day to use the Flood Town for some dive training with our manikins. This training involves our entire team from the divers, boat operators, surface rescue personnel, to the communications and Incident Command system. 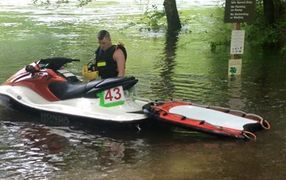 Every year STARR has attended brings new adventures because we usually add new pieces of equipment such as aluminum boats, inflatable boats, PWC, Rapid Deployment Crafts (RDC), and Rescue boards like the Liquid Shredder Board. 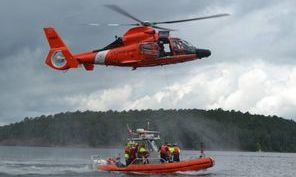 Not only does our member get training on the basics and foundations of Rescue Boat Operations but we expand our knowledge and skills with other agencies that work in those areas in Arkansas. Each year we are asked, "So what did you bring new this year". STARR would like to thank the Arkansas Fire Boat Committee for allowing us to come training, have fun, and build new friendships every year. It is a great source of training resources and we have a great time getting away to do it. 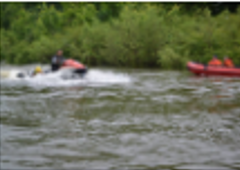 Here are just a few pictures of our team in action at the Arkansas Fire Boat School.